Is the online auction house on a selling spree? StumbleUpon, the web personalisation engine, today announced that after nearly two years as a subsidiary of eBay Inc., it has returned to the ranks of an investor-backed startup. StumbleUpon is now backed by the original company founders, Garrett Camp and Geoff Smith, as well as a number of well-known investors including Ram Shriram of Sherpalo Ventures, Accel Partners, and August Capital. Camp takes on the role of CEO of StumbleUpon. The announcement follows hot on the heels of yesterday's news that eBay may be selling Skype back to its original owners, too. "We are grateful to eBay for its guidance. However, we realized there were few long-term synergies between the two businesses. It is best for us to part ways and focus on our respective strengths," said Camp. "This change makes it possible for StumbleUpon to continue to innovate and focus on becoming the web's largest recommendation service." Camp revealed more on the company's official blog: "This will help StumbleUpon move quickly and stay true to its focus - helping people discover interesting web content. While there will be some internal changes at StumbleUpon, it will not impact the Stumbling experience and will help us create the best possible product." StumbleUpon was bought by eBay in May 2007 for $75 million (£50 million), and has been up for sale for at least the last six months. 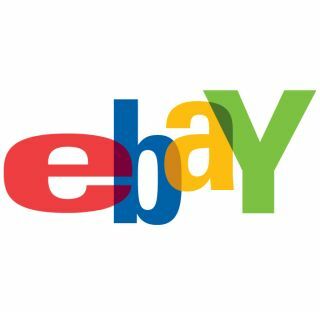 Although it has 7.4 million registered users, visits to the site have not gone up significantly since eBay purchased it. Plans for the new-old independent StumbleUpon include "increasing the accessibility of the StumbleUpon service and the quality of recommendations". The company says that it intends to launch "several new products and features" in the months ahead.